As far as whiskey education goes, it’s been a telling past couple of weeks. The venerable Masters of Whisky program is no more. If you’re not familiar, The Masters of Whiskey began in 1991, and these highly knowledgeable professionals worked to educate everyone—both public and industry—about the whisk(e)y category. Their absence in the marketplace left us reflecting on our own ambassadors. Whiskey education has always been important to us. 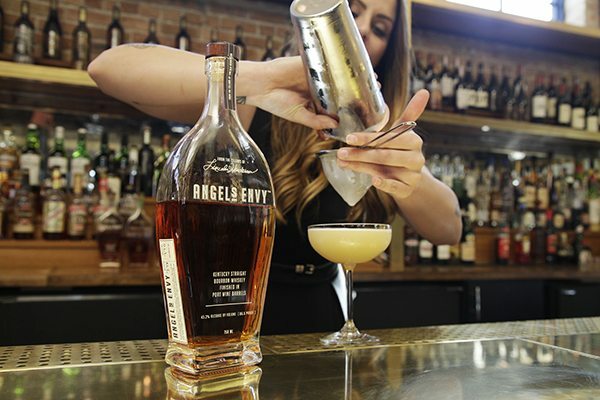 Simply put, if people don’t know the rules of bourbon, then they might not understand what makes ANGEL’S ENVY so unique. Plus, we just really like talking about whiskey. We have always respected and honored bourbon’s traditions; it’s certainly where ANGEL’S ENVY begins, but it’s not where we finish. In our own small way, our Whiskey Guardian program has always been our method for educating folks about whiskey—particularly ANGEL’S ENVY. We believe that there’s no better way to reach out to a city or state than through the people who live and serve there. Each of our (over 50) whiskey guardians are exceptional, and highly active in their bar and restaurant communities. And we listen to them. Nearly every program decision we make comes from the field. If we’re hearing about a trend in Austin, we can act on it quickly if it makes sense for our spirit. There are a lot of benefits to being a small team, and when everyone has a seat at the table, you gain some pretty unique perspective.